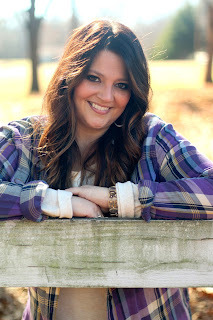 AMY here: I am so excited to have my sassy southern friend and fellow debut author Jessica R. Patch as my guest on the alley today! She is very recently published with Harlequin's Love Inspired line and I asked her to share a bit about the process of working with LI as I know so many of us have pitched or have considering submitting our stories to the popular line. And make sure you check out Jess's new book Fatal Reunion!!! It's on the top of my TBR pile! It is garnering fabulous reviews and I can not wait to dig in! Here's Jess! First, I want to say a big thank you to the lovely, Amy Leigh Simpson for having me today. It's always so much fun to hang out with the alley cats! I can remember when I first started writing. All those big day dreams of what it would look like to be a published author. Then I started reading industry blogs and I realized it wasn't quite as I'd envisioned it. You mean my words might get cut? Scenes red-inked? Titles changed? Gasp! But I'm glad I read them because it prepared me. It will prepare you! My agent had been pitching my manuscripts since 2011. In Winter of 2014, she asked me if I would be interested in writing for the Harlequin Love Inspired Suspense line. They were looking (and are) for new authors and she thought I'd be a good fit. I told her I would. I'd read many of the books, but I wasn't familiar with the formula. Yes, there is one. I checked out the guidelines and cooked up a story. I wrote the book. Sent it to my agent and in October, I received a revision letter from my editor, Shana Asaro (who is just fabulous).You can read more about my journey HERE. Tip: Always be willing to make the revisions. They want to see them. They know what they're talking about and it can land you a contract. I did what was asked of me and in January of 2015, I sold the book! Now what? First, I had a phone call to meet my editor. Two hours later, I knew we definitely were paired up for a reason. We have a lot of the same tastes in books, heroes, heroines, and TV shows like Gilmore Girls and One Tree Hill. Next, I received my first set of revisions, all about the content, and was asked when I could get these turned in. I set the date and read through the track changes, making the necessary fixes. Once that was finished it wasn't long and I received what's called an AFS. Art Fact Sheet. It's an online form Harlequin uses to help them with cover art and how to place your book in the catalog etc... It's a lot of questions about my main characters from personality to physical traits. I also include three key scenes and include pictures found on the internet to give them an idea for the cover.Since I already use Pinterest in this way, it was super helpful getting the information they needed quickly! I happen to enjoy the process, minus that short synopsis (not the blurb). But I get it done! Then comes the title. I'm asked for title ideas and given some direction as far as the hooks they want to use. Then one is chosen. My tentative title for what is now Fatal Reunion was Price of Betrayal! Tip: Don't get hung up on your titles. Nine times out of ten they're going to change! In between this and my second round of edits (line), I write my Dear Reader letter, Dedication, and choose my scripture for the book. I also get to see the mock-up for my cover! It all takes about nine months or so for the process. It's been a great experience and I love writing for LIS. I walked away from 2015 with 4 contracts. Fatal Reunion hit shelves in January. Protective Duty releases in June, Veiled Threat and Final Verdict are slated for January 2017 then later in that year. I share all this to give you a little look inside the publishing process with LIS, and to encourage you to never to give up on your dreams, but also let God develop and mold those dreams the way He wants. Writing for Harlequin didn't cross my mind until my agent brought it up. Always be willing to be re-routed. This has been an amazing journey so far. I can't complain about a single thing! Trust God. Believe. Keep writing! Do you have any other questions about the publishing process? When her beloved grandmother is almost killed during a home invasion, Piper Kennedy isn't surprised that she's a suspect—especially since Luke Ransom is on the case. The handsome detective she once loved thinks she knows more than she's telling about the attack. And given her crooked past and the heartbreaking way she'd been forced to betray Luke years ago, Piper understands why he doesn't trust her. But when attempts are made on her life, Luke insists on keeping her safe and finding out who wants her dead. And Piper and Luke soon realize a remorseless criminal will do anything to keep them from the truth…or an unexpected second shot at a future. Jessica R. Patch lives in the mid-south where she pens inspirational contemporary romance and romantic suspense novels. When she's not hunched over her laptop or going on adventurous trips in the name of research with willing friends, you can find her watching way too much Netflix with her family and collecting recipes to amazing dishes she'll probably never cook. Sign up for her newsletter at www.jessicarpatch.com. Thank you SO much, Jessica and Amy. I think there are many more writers than you know who have thought about Love Inspired/Harlequin. The idea dances a step or two then fades. It seemed to me to be a road blocked with trees and I couldn't see the other side. Thanks so much for revealing the path. Great post! I agree completely that if you let God shape your dreams and plans into what HE wants, you can't go wrong. He often has ideas that we would never have thought of, time frames that we wouldn't have chosen, but He knows best and when we work for Him and let Him work through us, there's nothing to fear. Congrats on waiting on the Lord to put these books on the shelf when and were He meant them. I have never even heard of LI, but I will check it out. Sounds like a great read! Jessica, it's so great to see you here and read about your journey. Thanks for sharing!! Congratulations on the contracts! Thanks, Jessica and Amy. This was a great look into the journey of publication! I loved hearing your story! Really enjoyed this peek into the LI process!!! Has anyone read this yet?? I can hardly wait! This is really interesting! I didn't know that titles changed so much throughout the publishing process.